If you’re into numbers and attempting to decipher whose speed, pace and class figures indicate a winner…this guide is not for you. Nope, this is for the 99.9 percent of the population who bet three, maybe four, times a year on the three Triple Crown races and, perhaps, Breeders’ Cup Day. 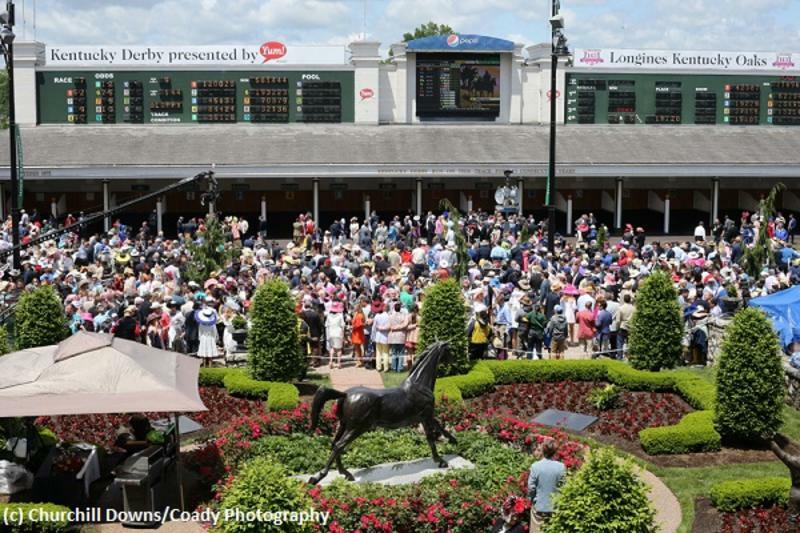 At this time of year, aka Kentucky Derby time, professional handicappers are inundating fans with picks, wagers, information, etc. The amount of information can be a bit overwhelming, so it’s time to take a step back and realize wagering can be fun and stress free as well as profitable. This guide is for those whose bets are based on horse, jockey and trainer names, the color of the horse, the color of the silks, yada, yada, yada. You get the idea. It’s really quite simple, if you’re not having fun you shouldn’t be betting. It’s supposed to enhance your day, give you a horse or horses to root for. If you’re stressing over who you’re wagering on, then sip a few more mint juleps and chill. If you’re a casual fan, betting a few times a year, then it’s purely for the entertainment. And just like any entertainment, you need to set a certain amount aside so as not to go overboard. I would go one step further and say stick to the same amount. By that I mean, if your budget is $20 and you win $100, continue betting only with $20. Don’t even bring that extra $80 into consideration. Here’s why: at the end of the day, you want to feel like a success. And nothing spells success than wrapping up a Kentucky Derby party with more dollars in your pocket than what you started with. If you’re comfortable with the possibility of ending the day empty handed, go for it. Most, however, want to brag about how much they made and that won’t happen if you bet hand over fist. There are numerous types of wagering opportunities out there, but beginners will probably be best served to keep it simple until they learn the ins and outs. Win, place and show wagers, as well as exacta bets might be the way to go for now. Maybe try the trifecta and superfecta bets, the Pick 6 (since it reaches in excess of $1 million on Derby Day) or the Super High 5, but that should be enough for a first foray into the bettingverse. Whether you’re going to be on track or celebrating with a Derby party, it’s a good idea to have an online wagering account. Despite hiring extra workers for Derby and Oaks Days, navigating the lines for teller windows on track can still take time. Time fans can spend perusing the horses, celebrities and general atmosphere of being on track. With an online account from TwinSpires.com, all it will take to get your bets in are a few taps on your phone. Voila! You’re done and looking calm, cool and collected lounging in the paddock, sipping a mint julep. If you’re not on track, then a wagering account is a must to bet (unless you blackmail your friends going to the races into standing in line at the windows). I highly, Highly, HIGHLY! recommend signing up for an account right now! As in stop reading, get on the phone or computer and sign up. Waiting until Derby and Oaks Days to either sign up or try to access the account you signed up for last year but forgot the password to can take a while. Plan ahead and get the formalities out of the way so you can enjoy Derby and Oaks Days no matter where you are. For those interested in who I like in the Derby and Oaks, keep reading. Quick note, boxing a group of runners means they can finish in any order for that bet. For example, if you do an Exacta Box with two horses, it doesn’t matter which one is first or second, as long as they both run in the top two. It costs a little more, but allows you some wriggle room. I’d probably follow a similar strategy for the Kentucky Derby, but with more horses. I like Bolt d’Oro (8-1), Medelssohn (5-1), Bravazo (50-1), Magnum Moon (6-1), Vino Rosso (12-1) and Firenze Fire (50-1). Well, that’s it. Good luck and happy Kentucky Derby and Oaks Days!